How do young children learn language? When does this process start? What does language acquisition involve? Children are exposed to language from birth, surrounded by knowledgeable speakers who offer feedback and provide extensive practice every day. Through conversation and joint activities, children master the language being used around them. 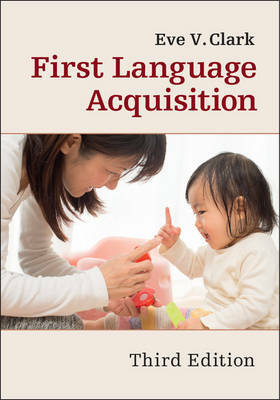 This fully revised third edition of Eve V. Clark's bestselling textbook offers comprehensive coverage of language acquisition, from a baby's first sounds to a child's increasing skill in negotiating, explaining and entertaining with language. This book, drawing together the most recent findings in the field, and illustrated with examples from a wide range of experimental and observational studies, including the author's own diary observations, presents an essential and comprehensive guide to first language acquisition. It will be fascinating reading for students of linguistics, developmental psychology and cognitive science.